Our 3 Step Nail Care Kit consists of three items including hand cream, nail serum and nail cream. All created especially to keep the skin hydrated and nourish nails and soften rough, dry skin. 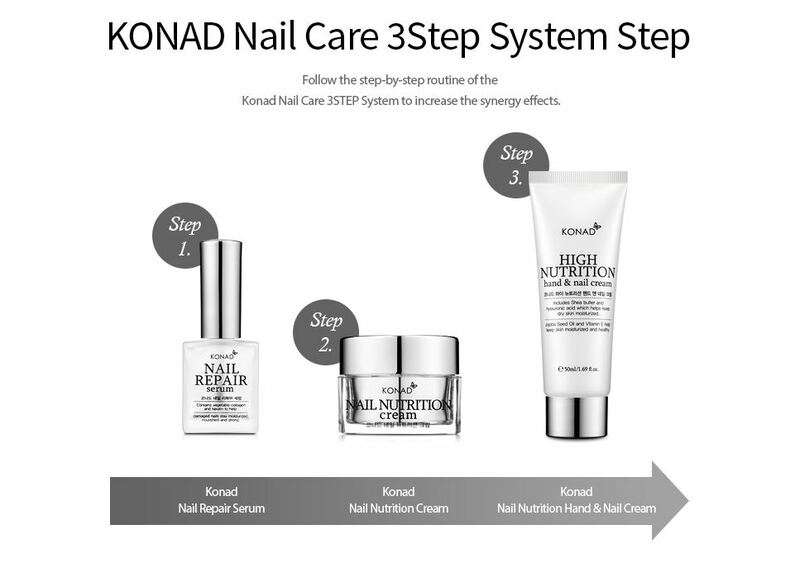 KONAD 3 Step Nail Care System contains vegetable collagen keratin to treat dry, cracked and malnourished nails. The vegetable collagen and keratin will hydrate and help your nails to look healthy and glossy. Additional vegetable oils including jojoba seed and avocado oil soften and condition cuticles. Shea butter, Hylauronic acid and Vitamin E help to keep hands supple and hydrated. You may also wish to help protect your nails and add extra shine by applying Konad Gel Effect Top Coat Clear Polish.